The Bobbing Forest is an art work with many interpretations. Next to the fact that the materials are recycled and it calls attention to green in the city, it also appears to be a prediction about the rising sealevels. If there is no more land to live on, than this would be an example of a flight to the water. 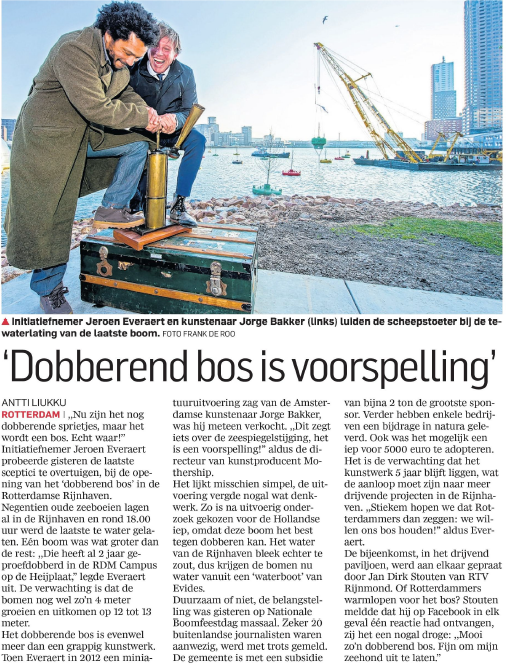 AD Rotterdams Dagblad wrote an interesting piece on the art work. But it is an art project above all and it’s there for people to enjoy. So make use of the park at the Rijnhaven and get some rest among the green.